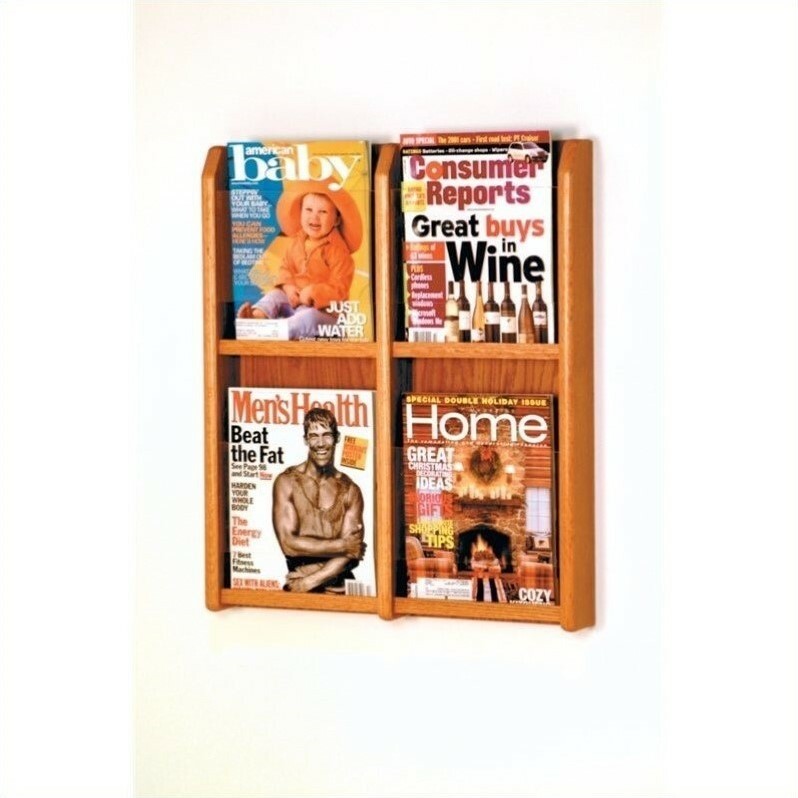 Wooden Mallet’s Divulge™ displays will add warmth to your room while displaying your magazines and brochures. Clear acrylic front panels allow full view of literature for quick reference. Divulge™ displays feature furniture quality construction with .75" solid oak sides sealed in a durable state-of-the-art finish. Divulge™ includes wall, floor, countertop and rotating display options. Clear acrylic front panels allow full view of literature for quick reference. Displays are fully assembled and complete with hardware for simple wall mounting. Add our optional accessory legs to create a floor display. Pocket Dimensions: 9"W x 2"D x 12"H.
This consumer rating is based on 5 reviews of all Wooden Mallet products. The Wooden Mallet Magazine Wall Display in Medium Oak has not yet been reviewed, be the first!